Life Pack gear is a gift for the body and the soul! Thank you for your interest in partnering with CBF in God’s work through Life Pack, a program of CBF Disaster Response. 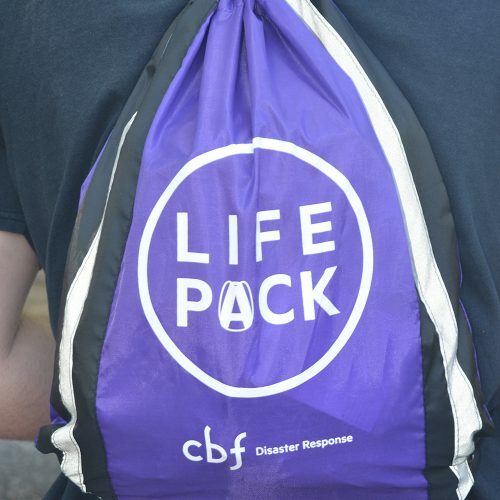 Life Pack provides an opportunity for you to accompany those in crisis by gathering key resources that will be helpful during disaster preparedness and recovery. The contents of your Life Pack will be combined with resources on the ground to help provide power for emergency communications, water filtration, light, and temporary shelter while also attending to minor medical needs and promoting spiritual solidarity. Life Pack teaches all participants the importance of human dignity and solidarity in Christ and loving one’s neighbor while offering an invitation to life in community. CBF Disaster Response mobilizes members and networks seeking to help communities after a devastating event. Many of our resources are directed to the long-term recovery, rehabilitation, and resiliency of a community after first-responders have finished their work. Through donations, volunteering, and with Life Pack, you can partner with individuals who have experienced a devastating event and are now in crisis. Ordering is easy. Click the order button below and you’ll be directed to our store. Select the number of kits you would like to order (each kit corresponds to one completed Life Pack). You also have the opportunity to add curricula to your order. Whether you’re ordering for your missions committee to consider or 20 kits for each Sunday school class, the expense of the entire ministry is built into the store purchase. 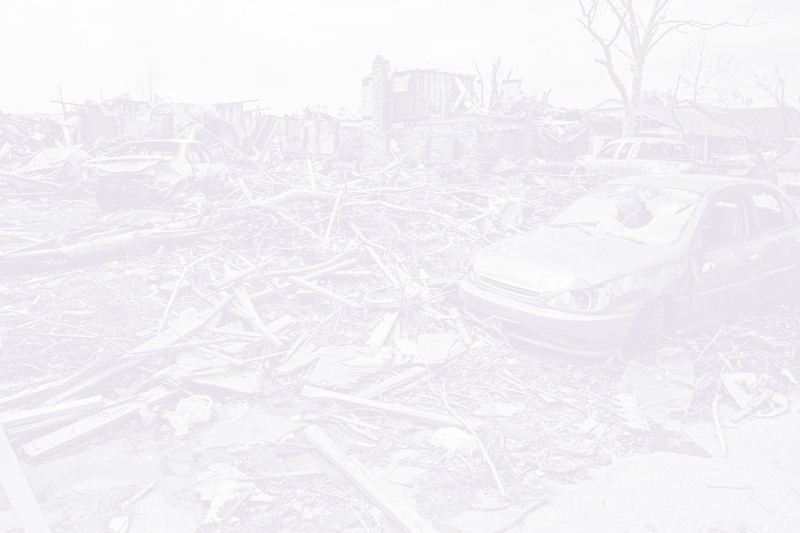 When ordering your kits you’ll also have the chance to donate to CBF’s Disaster Response fund. Click the Order Now button below to get ordering! Life Pack is an opportunity for you and your church to rally together in support of those impacted by disaster. 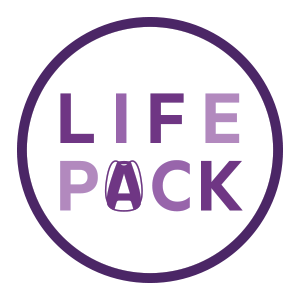 We invite you to take advantage of all the Life Pack resources including small groups, kids activities, volunteering and more. Life Pack is a ministry dedicated to sustainability. This is why we only send important, needed gear when it is needed. When you order a Life Pack kit, it contains a purple Life Pack backpack and Sawyer water filter. You and your team will fill it with life-giving, high-quality items that can be used during and after a disaster. 1 - Small first aid kit in a zip-lock bag: Band- Aids of multiple sizes, small Neosporin, small gauze pads, individual alcohol wipes, bandage tape, tweezers, small scissors, instant ice pack, nitrile gloves (4-pairs), travel size feminine hygiene products*, safety pins, 2 face masks, and over-the-counter eye drops in one zip-lock bag. 2-3 - Prayer Cards: Children and adults are invited to write prayers on large index cards in a zip-lock bag. Children can play an important role with Life Pack. Pick a Sunday where kids bring different items for the first-aid kit and have them assemble them during class (Adults may want to plan to add the feminine hygiene products later). Invite children to decorate index cards with prayers and Scripture passages to include in your packs. Each item can be purchased at your local outdoor store or ordered online. Please only include high-quality items. 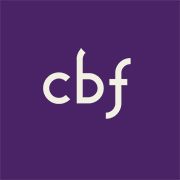 If you have any questions, please contact us at engage@cbf.net. When ordering your kits, you may be contacted to make small adjustments to the gear you purchase and collect. For example, Spanish is our default Bible language. You may be contacted if another language is needed. Please place each item in a sealed, zip-lock bag and into the purple Life Pack.  The cost of each Life Pack kit includes all the costs associated with the ministry including a donation to CBF Disaster response. Orders take approximately 2 weeks to prepare and deliver. You and your volunteers will turn these kits into true Life Packs by adding the necessary life-giving gear. Rush orders are available. Please contact us. Shipping will be added on at checkout. 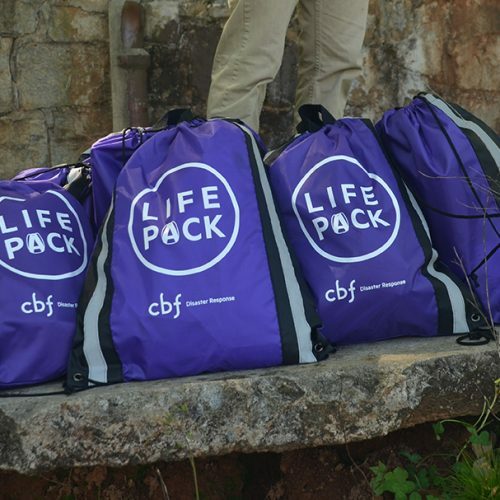 There are several ways you can get involved with Life Packs and Disaster Response through CBF! If you’re interested in volunteering in your local area, you could be a church volunteer and help your church through the Life Pack process. Life Pack is peer to peer. We mobilize volunteers to store, transport and distribute Life Packs both in preparation for disasters and in response to them. You may be asked to move a carload of Life Packs across state, hold them in your garage for a few weeks, or travel to impacted areas. If you are interested in volunteering please fill out the Life Pack Volunteer Sign-Up. If you have particular important skills or plan to lead a team to respond to the next disaster, please sign-up with our Disaster Response team and explore current opportunities here. First, please let us know who you are by filling out this quick form! We are deeply grateful for our church contacts for Life Pack! Your biggest tasks include publicizing Life Pack, recruiting individuals to purchase the gear and pack Life Packs, and passing them along to a regional volunteer for distribution. But don’t worry, we’re here to help. Communication: Use the easels on table tops or pin them to bulletin boards to advertise your church’s Life Pack ministry! Organize a Life Pack worship service with your pastoral staff. General announcements are usually not very effective. Recruit! In combination with your display, reach out to church members through worship, promotional materials, and especially personal conversations to sponsor a Life Pack, inviting small groups, Sunday school classes and leadership teams to fill your Life Packs. Bible Study and Worship: Use the provided Bible studies and worship materials to lead your church through the Life Pack disaster response material. Help your church organize and hold small group meetings to work through the small group study materials for the duration of your Life Pack ministry. Plan and hold a worship service at the end of your Life Pack ministry to collect completed Life Packs and celebrate the work you have done! In addition to the great studies in the Life Pack Magazine, below are some additional actives and commentary to aid in your studies. Ask the group to share about their first experience with the church where you are gathered today. Ask them to share why they came back. “Breaking of bread” may have referred to both an actual meal and the Eucharist- but both would emphasize the remembering of the covenant with Jesus. While some translations just use the word “prayer” in verse 42, the wording implies “the prayers.” These prayers were likely Jewish prayers with the enrichment of the fulfillment of Jesus. The prayers could have included the Lord’s Prayer as well. Some might infer from the passage that owning nothing and becoming homeless is the only way to truly live in Christian community. Yet the people of Acts obviously didn’t sell everything. They met in homes that were still occupied and owned, but they did share all things in common and sold possessions to provide for everyone’s need. Verse 46 indicates that this young church continued their Jewish practices in the temple. For a time, they met in peace in the temple with other practicing Jews as they followed the teachings of the apostles. Around eight out of 10 American congregants still attend services at a church in which a single racial or ethnic group makes up at least 80% of the congregation. Optional Opening: Do you love your neighbor? Arrange chairs in a circle allowing one chair per person playing minus one and ask participants to be seated. If the seated person answers: “Yes, I love my neighbor,” the two people sitting on either side of him/her, quickly try to exchange seats before the person in the middle sits in one of their chairs. If they answer “No,” the person seated adds, “But, I love everyone who… __________” (i.e. …has blonde hair). Everyone in the circle with blonde hair finds a new chair as the person in the middle tries to find a seat. The game continues with the last person standing. After playing a few rounds, explain that today’s lesson focuses on neighbors and while the game is just a humorous activity, we are all sometimes guilty of picking and choosing whom we consider a neighbor to love. The people we choose are often those most similar to us. In this week’s lesson, Jesus challenges our views of what it means to be a neighbor. If you were the injured person on the side of the road in this parable, who would be the “Samaritan” helping you? Who would be the last person you’d expect or even want to care for you? With whom do you most identify with in this passage? The lawyer? The priest or Levite? Or the Samaritan? Sometimes, like the lawyer, we get so focused on having the right beliefs, we neglect putting those beliefs into action. Jesus did not seem to care that the Samaritan had different beliefs, but he did care that the Samaritan acted with mercy. Can you think of any examples of times we fail to act on things we profess to believe as an individual or as a church? Shane literally became a neighbor to people in need when he moved into the inner-city of north Philadelphia in 1997 and co-founded an intentional Christian community called The Simple Way. While Shane doesn’t believe the only way to be a neighbor is to literally move to a new neighborhood, he does challenge those in the church to get to know someone in need. Being a neighbor means looking another person in the eyes, treating them as a good neighbor, and knowing their story and not just their need. Now ask the group to share their responses to each. For example say, “What is the adjective you associated with Samaritan?” After going through each of the 11 descriptions, discuss which ones generated the most similar responses and why. Discuss which had the least similar. Ask the group if they were surprised by any of the responses. Why? Why not? This activity required that you make judgments; but in real life, we often tend to assume to know things about other people because of certain cultural experiences or prejudices. In today’s lesson, Jesus encourages us to go beyond our judgments and seek to understand others in order to grow genuine friendships with those different from us. The Samaritans believed the proper place to worship was at Mount Gerizim where they had built a shrine while the Jews worshiped at the Jerusalem temple. The custom of Jewish rabbis avoiding women in public was so ingrained in the culture that there was a group of Pharisees called the "Bruised and Bleeding Pharisees." If a woman came across the path of one of these Pharisees they would close their eyes to avoid even looking at her which often resulted in bruising and bleeding from tripping or running into things. Genesis 1:26-27 lays the foundation for our understanding of how we should treat all people with human dignity: “Then God said, ‘Let us make man in our image, according to our likeness… So God created man in his own image, in the image of God he created him; male and female he created them.” The Latin term “Imago Dei” finds its roots in these verses declaring that we are all made in the image of God. Each human bears the image of the divine God. If we truly believe that every person, even those we dislike, do not understand, or with whom we disagree, is created in the image of God, how does that change how we engage others? Ask the group to think of their “first” friend. Ask for volunteers to share the name of this first friend and to share with the group why they were friends. Now, ask the group to think of a person whom they consider a good friend today. Ask members to share qualities that make that person a good friend. Ask them to share the qualities in themselves their friend might share about them. The Israelites and Moabites held a long history of hostility and segregation. The Moabite people were descended from the incestuous relationship between Lot and his eldest daughter (Genesis 19). Deuteronomy 23:3-6 forbade any Moabite from entering into the Israelite assembly of the Lord. Elimelech and his family must have been desperate to travel so far in order to find relief from the famine. Please check out the full Bible studies in the Life Pack Magazine and Instruction Guide!